Brand spotlight. After 14 years as the boss man of 6moons, I have an opinion or two about some of the more important companies who represent the audiophile lifestyle to the larger public. Of course my picks are coloured—distorted?—by my lack of vinyl interest, by my outlook on value and by my personal comfort zone on coin. For speaker companies, I have two very sharp picks. Naturally, it's not the company or brand per se which make or break my choices. It's the designers behind them; plus the corporate or boutique cultures they managed to create. Starting with one of US hifi's stalwarts, here's my big shout-out for Richard Vandersteen of the eponymous California firm in Hanford. My own 'serious listener' career began with a used pair of his 2ci towers. I acquired those at Peter Litwack's Music by Design shoppe in Sausalito where I spent many a dead-beat audition with an empty wallet. I think I eventually snagged that trade-in pair for $750. We're talking more than 20 years back. I then lived in Sonoma County well before any early attempts at hifi reviewing. Audio funds were as tight as the bark on an old hickory tree. That 4-driver 3-way remains current. It's now the 2Ce Signature II selling for $2'560/pr. That means a constant presence since 1977. It means over 100'000 sold pairs. And for half, there's still the Model 1ci as Vandersteen's entry point in their floorstanding line. What's changed over the past two decades? Headroom. Vandersteen have expanded at the top with models like the 5A Carbon, Seven and Seven MkII. Later they filled the gap between those and their smaller models with the Treo and Quatro. Those introduced veneer finishes to move beyond the cost-effective grill sock look which we've since seen also from GoldenEar. Where so much of our industry today pursues the 1-percenters and bling babies, Vandersteen remain true to their original focus on fair value. Consider what $13'900/pr buys you with a Vandersteen Quatro Wood CT: a 10 x 43 x 15" WxHxD true 4-way tower with 1" tweeter, 4.5" midrange, 6.5" mid/woofer and dual 8" active subwoofers driven from a 250-watt onboard amp with 11 contour points. Classic Vandersteen 1st-order filter hinges sit at 100Hz, 900Hz and 5kHz. Bandwidth is a colossal 24Hz - 30kHz ±2dB. Weight is a substantial 100lbs/ea. With Richard Vandersteen, high performance hifi has a very gifted designer of exceptional experience who still refines his phase/time-aligned core recipe with a keen focus on performance. He applies your dollars where they do the most good for your ears. Arguably not the sexiest of lookers, if you want loud bang for your tired buckaroo, Vandersteen after all these years is still a most brilliant place to stop and shop. My second speaker pick gets us to Switzerland and a far younger far less established designer: Sven Boenicke of Boenicke Audio. No less a legend than Joachim Gerhard, founder of Audio Physics, has already singled him out as "one of the five most important people working on loudspeaker design today". Having owned Sven's SLS, B10 and W5se models and being booked to review his new W11, my ears concur with Joachim Gerhard's far more technical assessment. This young Swiss has very good ears and is unusually effective at translating those sensibilities trained by recording music on his own equipment into visually attractive products quite different from the norm. A far smaller scale of operation and working out of one of the world's most expensive countries of course mean that value can't scream as loud as Vandersteen. On engineering chops and resultant musical pleasure, Boenicke speakers are just as attractive however; and many could prefer their looks. As it happens—though this wasn't part of my selection parameters—Sven is another 1st-order filter man. Then he proposes solid-wood constructions either by way of bonded clam-shell cabs for his W models; or as curved-wood front and rear panels joined by Ply sides for his B models as shown. My third pick moves us back to America as the original cradle of high-end audio; and back deep into true value. At $2'299, their Yggdrasil is the costliest cat in the catalogue. I'm talking about Schiit. Refreshingly direct, bullishly anti establishment and with their BS meter on high alert, founders Mike Moffat and Jason Stoddard have launched new careers by ridiculing our industry's obsession with buzz words and unproven fashion trends. Don't mention DSD, femto clocks, Delta-Sigma, MQA, 32-bit conversion and the lot. 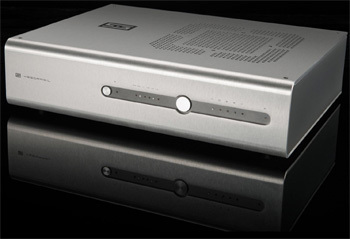 What elsewhere could degrade into empty posturing and opinionated blather if it were backed by lesser engineering savvy has at Schiit remained tightly allied to demonstrable performance and solid circuit design. What's more, keen value is wedded to staunch US manufacture. That should twist the balls purple on those claiming that offshore outsourcing alone can compete with Asian imports. Schiit's success story punctures that lie. For common sense and serving the common man's wallet, Schiit might be one of the most important companies presently working. We really need more firms with the guts to buck fashion trends; who put their foot down to offer valid alternatives; and who then have the chops to make a real underdog success of it all. My fourth pick keeps us in the colonies with Nelson Pass & Co. Whilst Pass Labs is about unapologetic big-boy stuff including their entry-level $6'500 XA30.8 amp, it remains honest value. Rated at 30wpc in pure class A, the unpublished actual spec for that machine with 20 push/pull transistors per channel is 90/150wpc into 8/4Ω watts before THD hits 1% (most valve amps use 3% to pad their power rating). Trying to lift this smallest of the lot demonstrates in a second what real hardware is all about. Meanwhile Nelson's 'kitchen table' FirstWatt effort promotes ~$3'000/ea. special-ops amps of lower power with very simple topologies but always in pure class A. Those often become transistor alternatives for common SET applications. As though that weren't enough, the Pass Labs forum on DIYaudio.com is where Nelson openly and very generously shares amplification circuits to roll your own and drops helpful hints to solder jocks stuck with their own builds. My last pick returns us to mainland Europe and the flat dyked-up lands of the Netherlands. It's where one Cees Ruijtenberg of Metrum Acoustics keeps himself busy advancing the art of R2R digital with ground-up silicon and innovative circuitry. Where the majority of digital products implement off-the-shelf chips according to their maker's application notes, our flying Dutch man mints his own, all the while keenly aware of his country's rep for frugality. Lacking Jason Stoddard's loud marketing style, Cees Ruijtenberg is but a quieter version of the same Schiit storm. That is committed to linking up honest value with true engineering, not bottling old wine into shiny new bottles. It's about advancing the art with novel solutions. For innovation in digital audio not priced to make you bleed, Metrum are one of the very serious companies to watch!